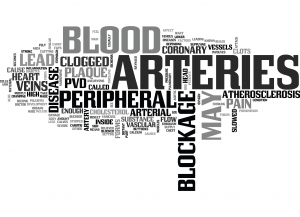 Peripheral vascular disease (PVD) is a blood circulation disorder that causes the blood vessels outside of your heart and brain to narrow, block, or spasm. This can happen in your arteries or veins. PVD typically causes pain and fatigue, often in your legs, and especially during exercise. The pain usually improves with rest. Who should get a Peripheral Vascular Disease test? In PVD, blood vessels become narrowed and blood flow decreases. This can be due to arteriosclerosis, or “hardening of the arteries,” or it can be caused by blood vessel spasms. In arteriosclerosis, plaques build up in a vessel and limit the flow of blood and oxygen to your organs and limbs.